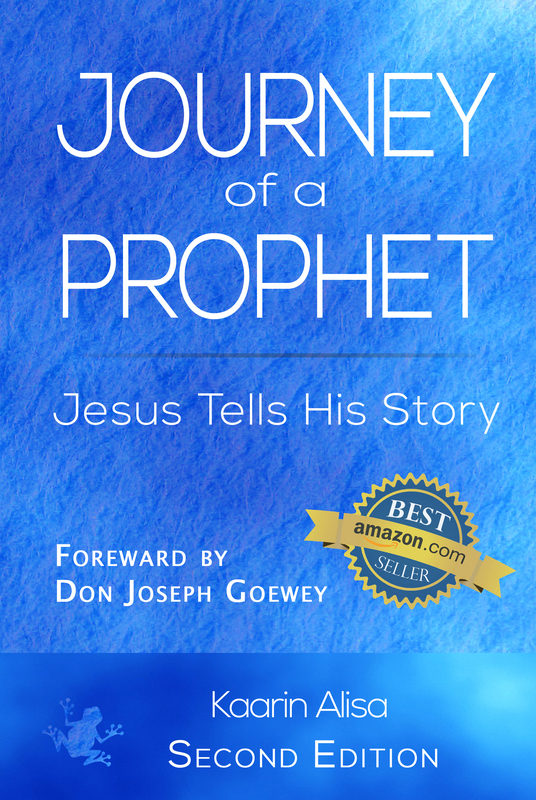 Journey of a Prophet: Jesus Tells His Story is the explosive, first-person account of the first forty years of Jesus’ life that reads like a riveting adventure novel. Known here by his Hebrew name, Yeshua, this is his journey as revealed to Kaarin Alisa through her life-long conversations with him. It is the first book to present the deep humanity and passion of Yeshua’s life from his singular point of view. Yeshua lived in turbulent times and enemies stalked him from the day he was born. You have the opportunity to relinquish what you think you know about this man in favor of a richer, more compelling truth. This is Yeshua’s life as he recalls it, without the shroud of religious constructs, popular myth, or dogma overshadowing his truth. The narrative sets the record straight about who he is, how he lived, why he did what he did, and what he is doing today. The stories contain layers of meaning that impel Yeshua’s unique perspective and teachings into greater clarity than ever before. Readers gain a deeper understanding of exactly which thoughts, attitudes, and actions Yeshua suggests to propel one’s life toward healing, love, and cohesiveness. Yeshua will also invite you to accept a direct, one-on-one relationship with him. He offers himself not as a savior; rather, he assures us, we are divine beings too, and he promises to reveal to you how it feels to be loved beyond measure. Discover more about Yeshua in the full book! Was Mary a virgin when Yeshua was conceived? Did Yeshua have “otherworldly” help? Did Yeshua study religions other than Judaism? What were the roles of Yeshua’s siblings? Was Yeshua married? And did he have children? Did John the Baptist baptize Yeshua at the river Jordan? Did Yeshua perform miracles such as healing the sick and raising the dead? How did Pilate feel about Yeshua? Did Yeshua die on the cross? What is Yeshua’s mission and how does it relate to us?